The Durst Organization is a family-run real estate company providing value and services to tenants, residents and partners. One of the larger Durst construction milestones included the development of the 4 Times Square Building in New York City. 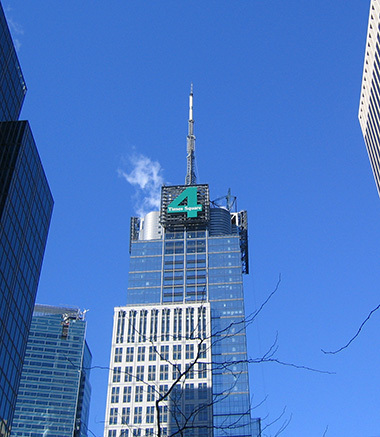 Hatzel & Buehler has maintained an ongoing relationship with The Durst Organization, performing work for the Broadcast Customers in the 4 Times Square Building. Hatzel & Buehler currently works for the various broadcast stations and agencies at 4 Times Square, while also maintaining the building’s antenna, transmitter rooms and beacon lights.